‘Big’ just got bigger and better with the expansion of Queensland’s largest all-abilities playground. 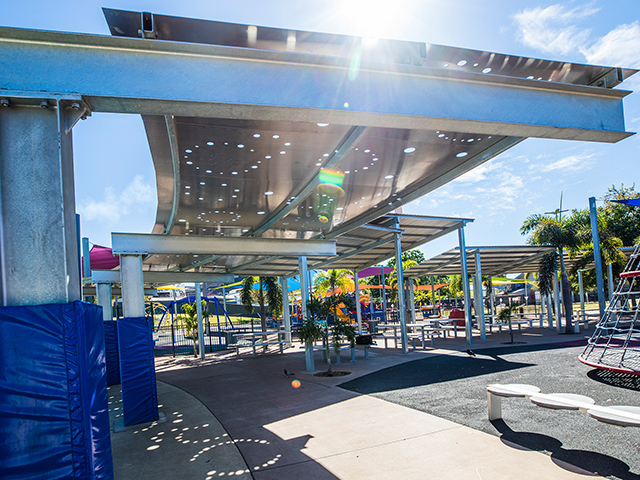 Landmark supplied a stunning set of custom shelters that provide stylish and functional shade for visitors to Mount Isa’s Family Fun Park. 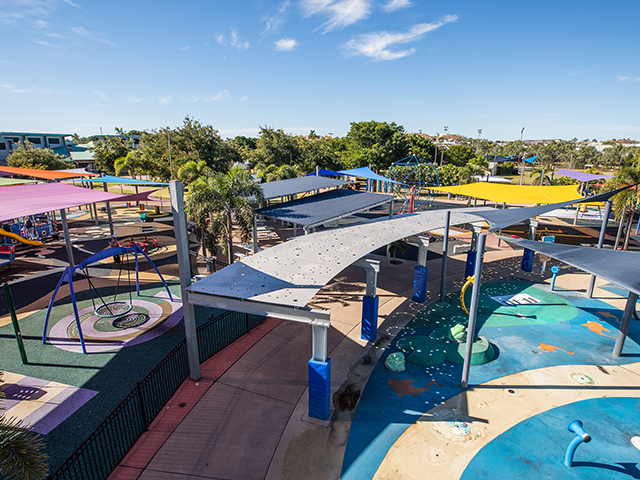 Opened in 2009, the original park cost over $4.25 million to design and build and offered locals and visitors alike the perfect facility to play, relax and engage as a community. 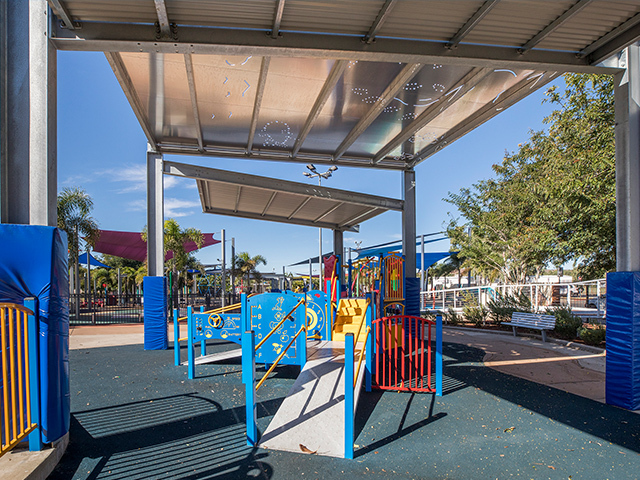 The $840,000 upgrade, completed earlier this year, was funded partly from the Works for Queensland program and included new play equipment, softfall upgrade and renewal, cycle track upgrades, new seating, tables and landscaping, and a closed-circuit TV. 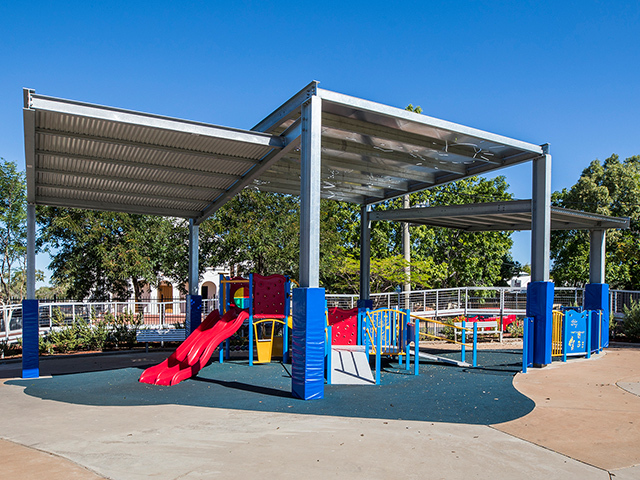 Landmark designed and manufactured three sets of shelters, which featured unique laser cut aluminium roofing. The shelters were delivered onsite in kit-form to be later installed by local professionals. 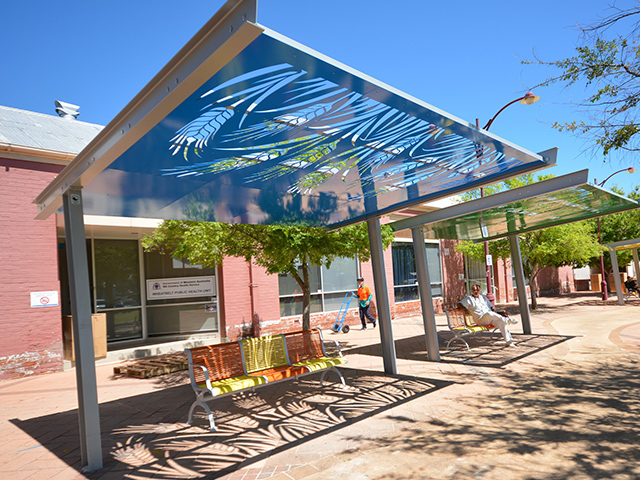 The company also supplied a set of custom skillion roof shelters and a shelter for the sensory garden that consisted of two cantilevered shelters covered by a mill-finished aluminium laser cut roof. 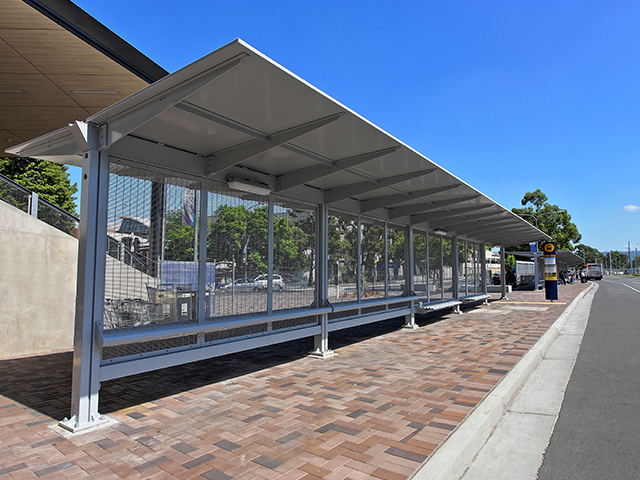 In addition to this, a curved steel walkway shelter was installed, supported by five hot-dipped galvanised steel columns, bolted-below the slab. 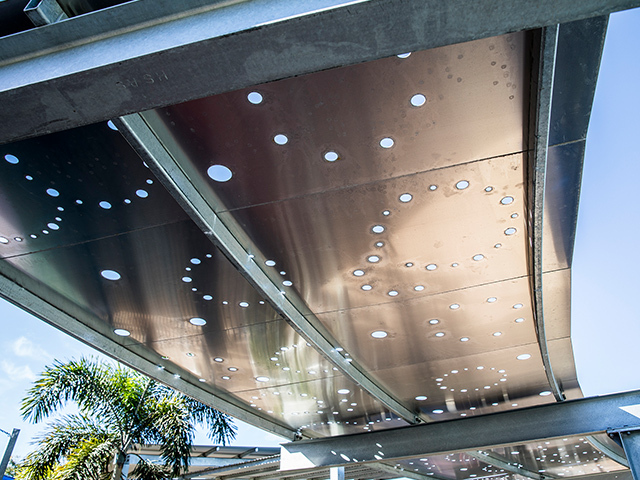 The shimmering aluminium roof features shapes cut into the material that create beautiful patterns on the ground as the light shines through. 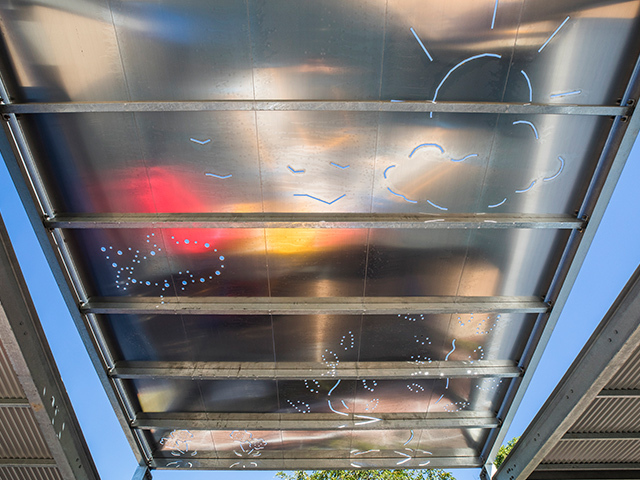 This clever design adds to the wonder of the playground for children and parents alike. To discover more about Landmark’s bespoke shelter designs, contact them or visit their website via the links below.